Proceeds from the Nike Air Mag charity auction will benefit the Michael J. Fox Foundation's on-going efforts towards finding a cure for Parkinson's. After revealing to the world his on-going battle with Parkinsons disease back in 1998, Michael J. Fox has been completely committed towards finding a cure by funding research through his very own Michael J. Fox Foundation. Continuing his commitment, Michael J. Fox and his foundation have joined forces with Nike to bring us the Air Mag Charity Auction. To date, the Michael J. Fox Foundation has raised over $264 million for research towards a cure, with over 85 percent directly benefiting several research programs. In an effort to continue to fund this aggressive research towards finding a cure, Nike and the Michael J. 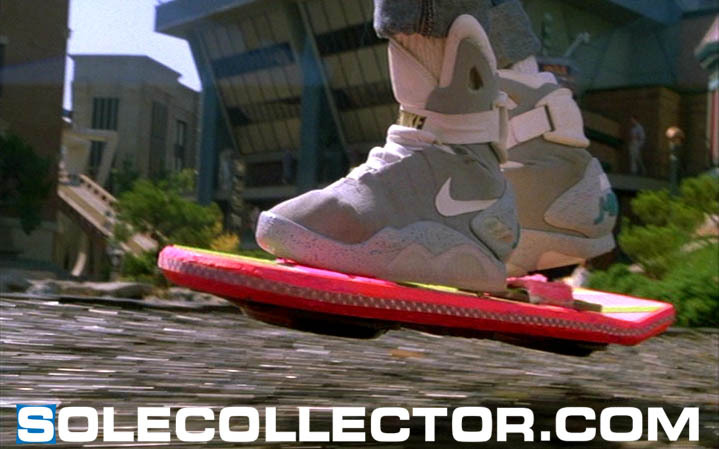 Fox Foundation will auction off a total of 1,500 pairs of the famed Air Mag shoe worn by Michael in part II of the Back to the Future trilogy. 150 pairs will be available per day on Nikemag.eBay.com, with the auctions running for a total of ten days all together. Further details are set to be revealed at tonight's much anticipated event at the Montalban Theatre in Hollywood. Be sure to stick with Sole Collector for continued coverage, provided by SC's very own Steve Mulholland.